Puffer Butte is the high point in Fields Spring State park, where you can see incredible vistas of the Wallowa Mountains—dusted with snow in the winter or dotted with flowers in the summer. By continuing to head south from the summit on a fainter path to a point signed "Puffer" you are treated with this unobstructed view. 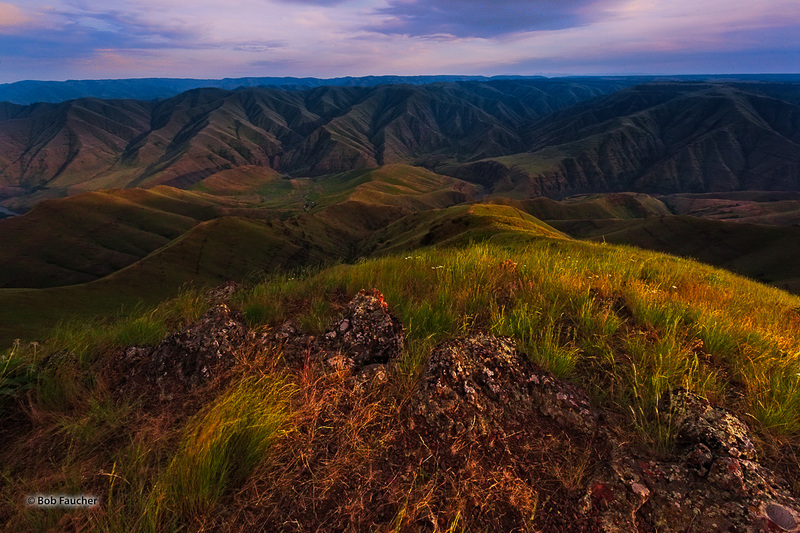 The Grande Ronde River can be seen as it flows through the canyon below on its way to join the Snake River. Photo © copyright by Robert Faucher.